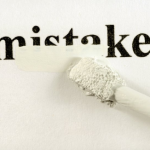 This entry is a continuation of 9 Silly Mistakes You Must Correct/Avoid If You Are To Make Money Online In Nigeria (Pt. 1)…if you missed that entry, you have a ton of catching up to do – kindly click the link above and learn a thing or two. If you have already gone through the entry, kindly follow me. You can be whatever you wish to do — no doubt…but, certainly not online! 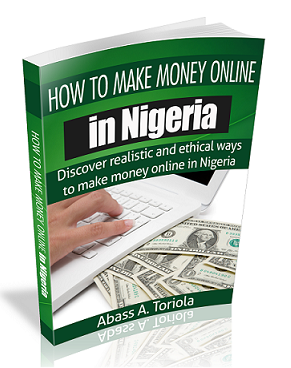 Many Nigerians, on a daily basis, jump right into complex models of making money online that are well outside their immediate ability. These models, to put it raw, are well above what they can comfortably do. With such a reality and mode of doing things, failure is just around the bend. Some of us, (yours truly inclusive) were born with the pen in our hands. This means that, we can write a whole day — without rest (and can even stretch it up to weeks) and still make a ton of sense, enjoy the process and get results. Unfortunately, not everyone is cut out for writing. If you are thus not one who can write 10,000 words daily — and still be happy and willing to do it after a whole month, what business do you have with academic writing? Or, maybe, Kindle Publishing (especially, when it is understood that volume is of the essence to make your mark on the platform)? However, many of us can do it — and still live to tell the story…but not all! If you have a medical condition that dictates that you need rest, are well above 40 years or have other peculiar challenges that need rest and a stress-free existence, insisting on going to bed every day around 3am and waking up around 6am is begging for a breakdown — and monumental failure! …and, if you persist, either the doctors or the undertakers will get you — whoever is smarter to reach you first. Now, can success online be recorded either on the hospital bed or in the morgue?! You are the one who knows your brain and body better than anyone else…you are also the one who can logically assess what you can or cannot do, all other things being equal. So, before embarking on anything online, you must first ask yourself this billion dollar question: can I really handle this? Now, if you are unsure, kindly avoid the model — and look forward to one which you are certain that you can pull off — and creatively handle — without any challenge…the express rule here is to always look at the type of online business that will give you the least headache or if possible, no headaches at all. Can you figure out such a business model? If you thus suspect that your mind is playing a fast one of you, kindly give every model you delve into a short time frame (say 1 month) during which you dedicate your entire time and genius to…if you ride effortlessly, you have an awesome deal; if you don’t, the search to match ability and desire continues. Human beings are by nature, highly competitive — there is no doubt or questions about this. It is also competition that keeps the human race ahead of the other species and ensures that the dominion of the human race over the earth is complete. There is another variant of competition however that is called dumb competition…the art of competing for the sole sake of competition; looking at competition as an end in itself and something to be passionately pursued and enjoyed even if it means nothing in itself! While the first variant of competition (the one called ‘intelligent’) is to be encouraged, online, if you want to fail faster than you can recall your own name, jump into dumb competition! Dumb competition ensures that you follow someone’s model of making money online without really taking time to study it and see how the person in question is making money with it or if it suits you. This is the height of stupidity — a reality you must flee from if you are serious about making money online and making it damn fast! There is one cardinal reason for dumb competition: jumping into an online model of making money without a really solid reason! Dump competition can also be likened to getting to the park and instead of having a fixed destination in mind, being rather open to take the bus to wherever the driver is headed…now, your friends (or even enemies) may be in the same bus — headed to their various destinations…if you follow them, won’t you land at their own destinations? This is exactly what happens when you compete in a dumb manner! 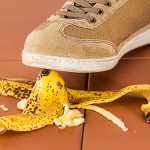 To avoid this harsh reality, always ensure that you have a solid reason that cannot be shaken before you jump into any online business — or else, you will certainly wind up imitating and competing with the fellow next door. What are your reasons of coming online in the first place?! 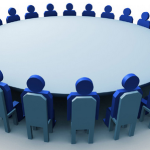 I have never seen anywhere else where mentorship is resisted like online! To qualify as an ordinary roadside mechanic, about 5 years are needed before you can ‘graduate’ (and those 5 years are spent with an experienced mechanic); same goes for ‘ordinary’ professions like panel beating and even masonry. Now, how on earth can you logically resist tutorship online and expect to progress like you would love to?! This is crazy — and the height of ignorance — but believe me, many persons who are online today resist mentorship like the plague! Such persons imagine that there is nothing online worth wasting time under the tutorship of an established expert and instead, prefer to either attempt their feat ignorantly or else resolve to seek free advice from the Internet via Google. Unfortunately, such advice, is given by just anyone, whether he/she is qualified to offer it or not. In the end, such an ‘online businessman’ fails classically. …something tells me that YOU are such a person! Realizing that you need an online mentor to succeed in your online business is one thing…getting the right mentor to actually help you achieve your set targets online is well another! The challenge today is thus to get the right mentor that will ensure that your online dreams come true. But, how exactly can you come by such a mentor? It’s simple, really: choose a mentor that is already living the reality you wish! 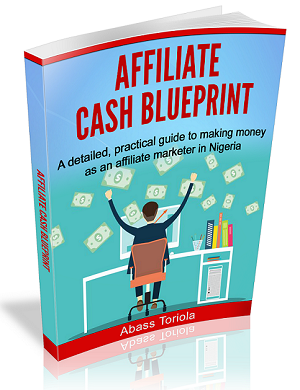 If you desire to make money online via blogging or any of the related models like affiliate marketing, Abass Toriola is one mentor you should consider — IMMEDIATELY. Whatever you do to arrive at the right mentor that will coach you for your online business, you should not consider the mentors who are experts at showing screenshots and who in essence make money online by telling you they make money online! There is nothing that is as constant online as change. Nothing! Accordingly, while you may start an online business that may, in fact, be doing great today, always open your eyes to the great reality ahead — and around you and change models or variants if need be. And do so swiftly and without apology. 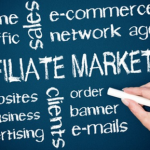 I was serving the Nigerian market — under the make money online niche. One sad day, the Federal Government of Nigeria decided to stop the use of Nigerian issued credit/debit cards on foreign sites and in foreign countries…that decision claimed more than 70% of my income (earnings from referring my readers to Arvixe, my host then). I knew it was time to adapt — and I immediately ‘killed’ the site and founded another, The Notopoverty Information Portal. On the new portal, I serve both the Nigerian and the foreign markets now — in a brilliant and curious fashion. Now, more than ever, I care little if such an unpopular policy is ever brought about by this government or another. Know when it is smart to adapt and do the needful! Adapting is not the issue, most often.. When your income is threatened. When the business model in question is getting obsolete. When you have got a better model than the existing one. …if you cared to check out my current portal now – and knew the site I used to run back then, you’ll agree with me that I surely have stayed true to my advice here. Will you stay true to it on your own part? In the part 1 of this entry, I wished you an ‘initial goodbye’ — which was deemed received…and appreciated. After finishing my entire ‘contract’ with you, I must wish you a final goodbye now. 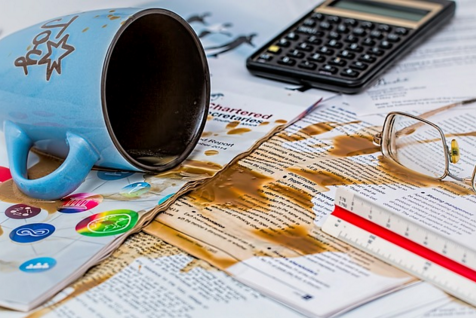 Kindly remember these nine (9) silly mistakes and NEVER make them in your bid to make money online; if you are however making them already, the time to STOP is NOW! If you have any questions (or contributions), kindly leave me a comment below…if you have none, let’s hang out and socialize instead (via comments). Akaahan Terungwa is a best selling author and blogger. Aside writing & blogging, he also runs the World's Number One Information Portal. Connect with him via Twitter: @IamAkaahan. 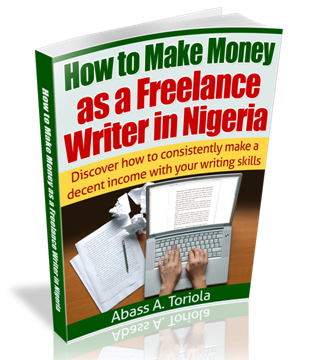 Dear Terungwa,please how do i recieve my payment in Nigeria for an ebook I published on amazon.You can reply me privately on this email if u wish–> mariokizito1@gmail.com.I will appriciate your response,thanks. It is one thing to realize that you need an online mentor to succeed in your online business, it is another thing to get the right mentor to really help you achieve your set online targeted objectives. We all know that in the university of experience nobody is a graduate, everybody is a learner and experience is aquired by practising because there is no paragon of perfection. Even if you know something you must still be ever ready to learn from others in your field to actualize your dream to the fullest. The challenges we are facing today are that some mentors are teaching atrchaic business model that are no more working. Some are teaching methods that are not working in our immediate environment. Some don’t really understand what they pretend to be teaching others, all they need is your money. Some really good at what they are teaching but try to hide the salient aspect of the business for fearing of being overthrown by his mentees. 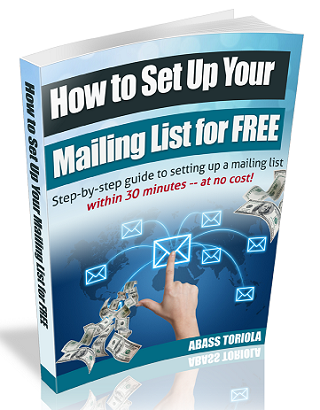 Getting the right mentor that will give all details like Abass do is quite difficult this day. 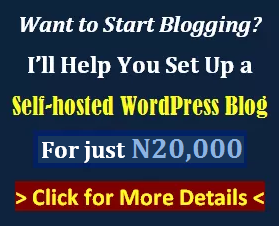 I’m glad to be associated with Abass’ Highly informative Blog and I already see him as a mentor online. I will definitely work with him because I’ve got lots to learn from him. Good info..I have gotten an idea from your post.love it. But can you do me a favour? 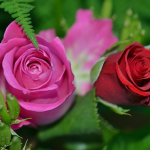 Please help me review my blog embsea.blogspot.com it is newly created though named Jobonlinesuccessinfo. Waiting for your reply. 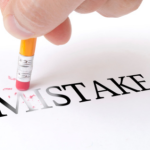 I was very lucky to check my e-mail inbox this evening and saw that you had sent me an alert e-mail on yet another exciting post titled “9_Silly Mistakes you must correct/avoid if you want to make money online”. I must confess this is really true of many of us including my humble self, but the area I enjoyed most was on ” Refusing mentor ….. I clearly agree with Akaahan on this among others. Please I know I already missed registration for your Affiliate Academy, is there a way you can accept me as your prodigee or mentored? I would like to learn under,you. In fact, You will remember I called you sometime ago on wanting to learn copy writing to which you said there is no market for in Nigeria. So I would be happy if you reply me regarding this via my email address here. These are sure lessons for anyone who is interested. Good lessons,especially on the mentorship part. It reminds me of the saying, “I see farther because I stand on the shoulders of those who have gone ahead of me”.